Sized at 24″ wide by 24″ deep by 36″ tall, you can put your most prized collectibles on a pedestal – literally. Perfect for sculptures, vases, books, antiques and other unique collectibles. 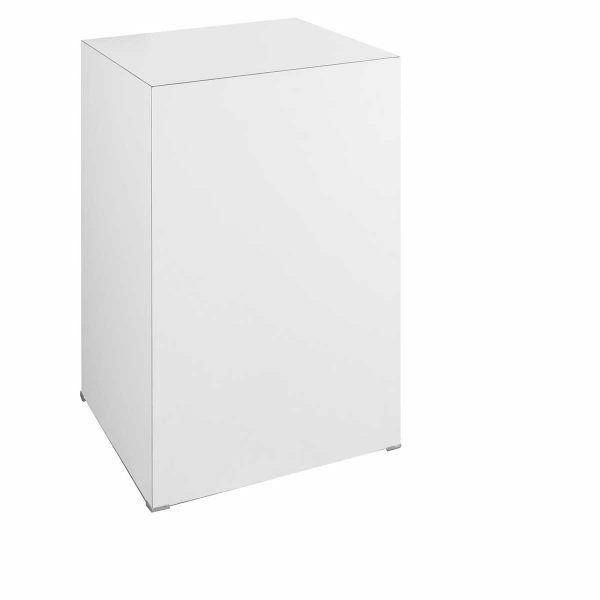 White pedestals are also available in 10″ x 10″ x 48″, 12″ x 12″ x 42″, 16″ x 16″ x 36″, 16″ x 16″ x 42″, 18″ x 18″ x 42″, 24″ x 24″ x 42″, 30″ x 30″ x 36″, and 30″ x 30″ x 42″. © Copyright American Fixture & Display. All Rights Reserved.